So close. 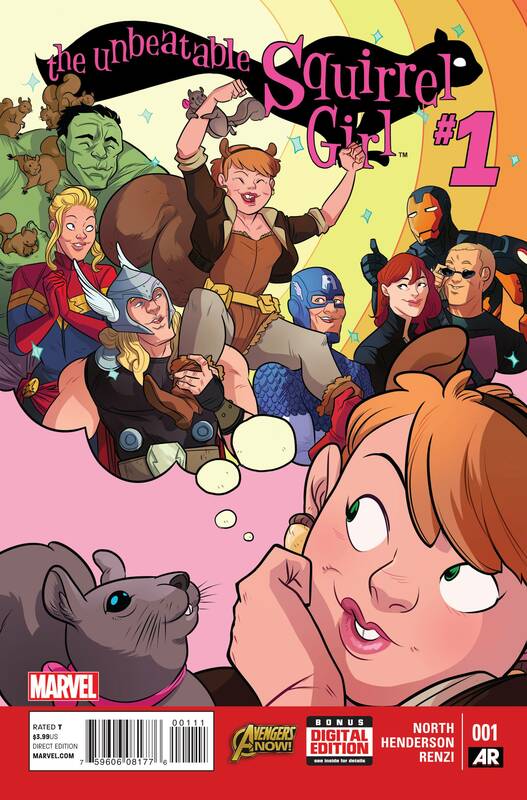 We nearly had our first-ever HOT PICKS unanimous selection with … The Unbeatable Squirrel Girl! 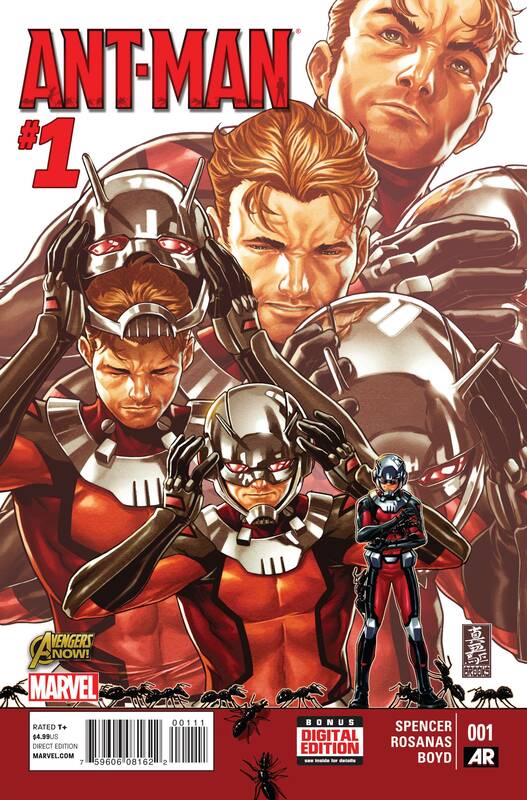 Ant-Man #1, Marvel Comics. Scott Lang, the Ant-Man you love to hate (or pity, or whatever) is back! Sure, he’s been in jail, and dead, and there was that whole sordid ordeal with the ex-wife… So anyway, Scott’s trying to pick himself up by the bootstraps and look who’s got a job offer for him? Good ol’ Superior Iron Man himself! How can you say no to a job offer from Tony Stark when all you’ve got to your name is your Ant-Suit and a package of ramen? Cheapo ramen too. Not like 69-cent ramen either. The really no-name 34-cent stuff that tastes like salty cardboard. Who’s this guy to balk at a job that can buy him ramen in a restaurant? Ant-Man and Superior Iron Man! Together again! I can’t guarantee ramen though. The Unbeatable Squirrel Girl #1, Marvel Comics. It’s Marvel‘s answer to Batgirl and Lumberjanes! Not on board yet? She has a squirrel sidekick named Tippy-Toe. THAT TALKS! Now you’re sold. Pick it up, it’s a doorbell! SiP Kids #2, Abstract Studios. I’ll give you the same three-word review of this book I gave to Terry Moore, which he asked to use as an endorsement: IT’S F###ING AWESOME. Menachem Luchins, owner, Escape Pod Comics, Huntington, L.I. We’ve got SOME week. Maybe it’s to make up for how miserly the skip week was? Anyway, in #1s we’ve got: New Ant-Man by fan-favorite Nick Spence; Lady Killer by Rich & Jones, who always rock; the first volume of Jaco: Galactic Patrolman by the creator of Dragon Ball Z; and IX Generation — The Top Cow worlds of Artifacts and Aphrodite IX finally meet! — by Matt Hawkins and Stjepan Sejic! SIP Kids #2, Abstract Studios. 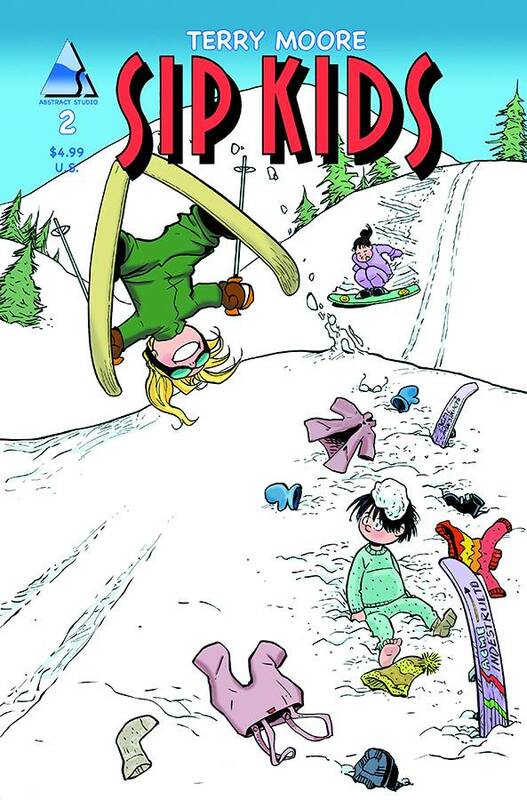 Terry Moore delighted his old Strangers in Paradise fans with a one-shot merging his Peanuts-style strip work with the world of his most famous characters. So popular was the book that Li’l David, Katchoo, Francine and the gang are back. A delightfully light comic that works whether you know the characters’ history or not, it’s a great pick-up if you’re looking for something fresh, clean, classic and light. Unbeatable Squirrel Girl #1, Marvel Comics. I have NO interest in Squirrel Girl. I think I’ve read a total of two comics that featured her as more than a background character and she’s just never… HIT me. So why is this book my #1 pick? Do you really need to ask? RYAN NORTH. It helps that the art from Erica Henderson looks damn fine too. But, seriously, Ryan North writing a humorous teen super-hero book? This could be a Speedball relaunch and I’d be in! Tim Finn, Hub Comics, Somerville, Mass. The Unbeatable Squirrel Girl #1, Marvel Comics. Artist Erica Henderson signs Unbeatable Squirrel Girl #1 at Hub Comics on Saturday, January 17th! This once D-list character is Marvel’s newest solo series hit, and it’s got wonderful art and coloring by Henderson and Rico Renzi (colorist on FBP). Comics can AND WILL be fun again! 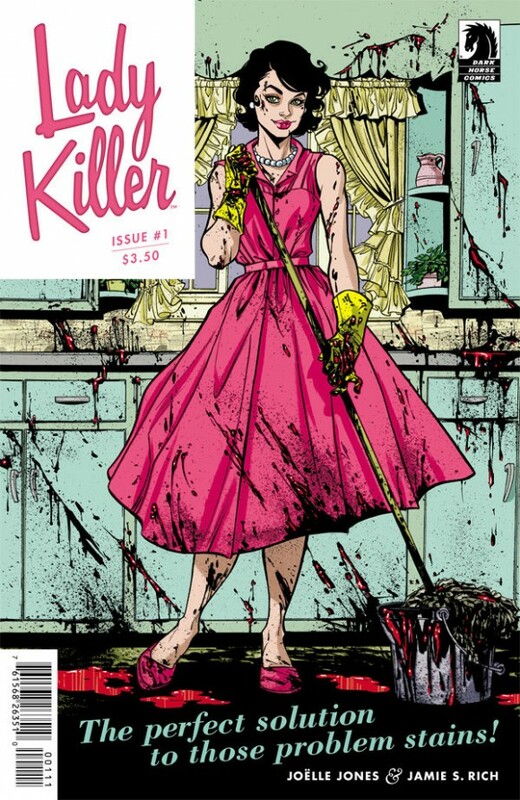 Lady Killer #1, Dark Horse. Dark Horse, despite producing much quality, hasn’t had that Image heat this past year, and we’ve avoided most non-Hellboy universe miniseries, while collections like Juice Squeezers and Leaving Megalopolis have just sat on our shelves. But I’ve got a good feeling about this five-issue tale of a 1950s housewife/killer-for-hire. And hey, Laura Allred is the colorist! Treasury of Mini Comics Vol. 2 hardcover, Fantagraphics. 800 more pages of previously self-published and seldomly seen homemade comics! Lady Killer #1, Dark Horse Comics. This looks to be a stylish black comedy, and the preview art from Joelle Jones really impressed me. Ant-Man #1, Marvel. I’m never gonna pass up an Ant-Man series, plain and simple. With Scott Lang primed to make his Hollywood debut this year, it’s clear Marvel has some big plans for him – curious to see where he’s headed. Unbeatable Squirrel Girl #1, Marvel. Man, does this look fun. I love that Marvel has embraced the notion of a wide variety of books for a wide variety of audiences. 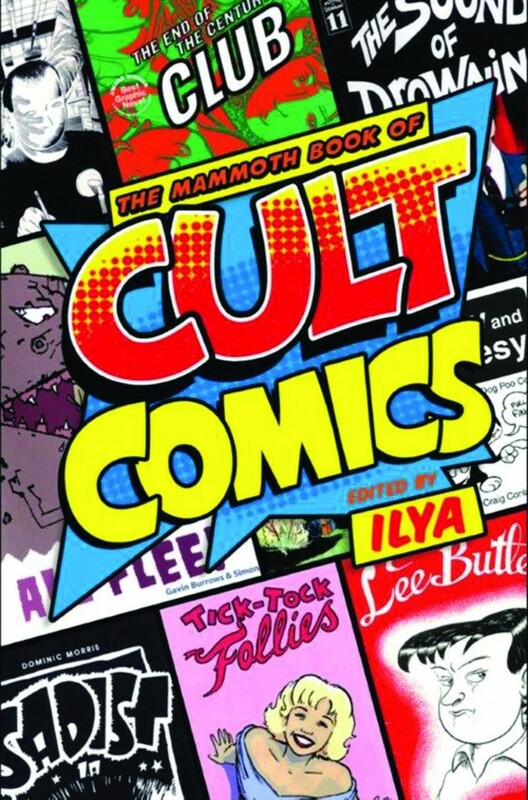 Mammoth Book of Cult Comics SC, Running Press. I’ve been a huge fan of the Mammoth Book series including Mammoth Book of Crime Comics, Mammoth Book of War Comics, etc. It’s a good, large, healthy sampling of obscure material for a really low price ($17.95). This collection, particularly targets well-known creator’s little-known work like Craig Thompson and Gavin McInnes, the co-founder of Vice. Even if most of it ends up not being good, you’ll definitely be getting your money’s worth in my opinion (448 pages!). Value is the name of my game.